These racks must be fixed to the wall at a height of at least two-thirds of cylinder height. Supplied with pre-drilled fixing holes (fixings not supplied). All racks fitted with steel link retention chains. 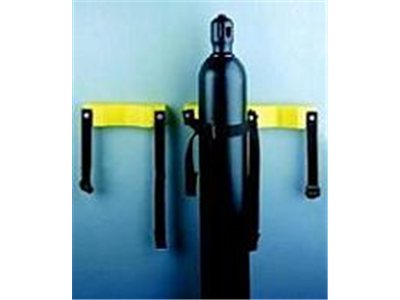 Racks can be designed to suit any number of cylinders. 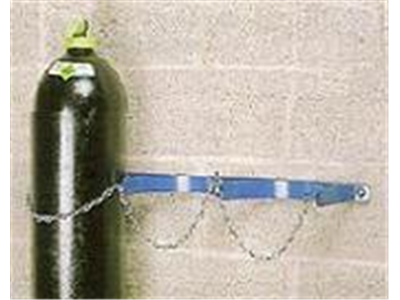 Strong wall fixingsteel frames to hold 2 gas cylinders securely and safely. They should be positioned to the wall at approx. half of cylinder height. 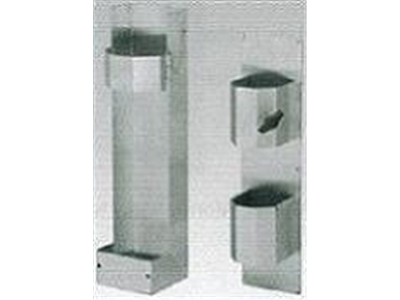 Cylinder holder, stainless steel, for ‘D’ or ‘E’ (100mm dia.) cylinders. 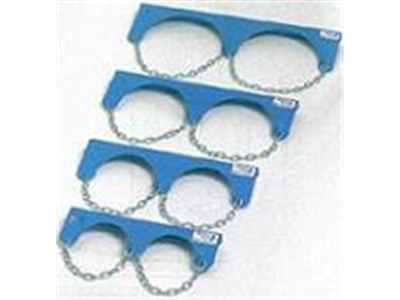 Supplied with loose support base for ‘D’ cylinders. Cylinder holder, stainless steel, for ‘F’ (150mm dia.) cylinders.